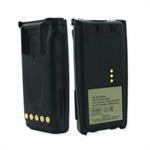 2 Way Radio Battery , Scanner Battery. CH-9044 , Charger for Motorola HNN9044A, HNN9056A battery. JB-P4 , for Uniden APX1100, Wilson 41B025AK00501, Yaesu FNB2 , FNB1. for Uniden APX1100, Wilson 41B025AK00501, Yaesu FNB2 , FNB1.,Regency. RelmM181, BP4, Maxon CA1450.